Our client wanted to enter the Polish market with an innovative therapy for a rare hematological disease. In order to be able to do that, he asked PMR to conduct a series of in-depth individual interviews with hematology and transfusion experts. The study’s main objective was to determine the level of knowledge of Polish specialists in terms of therapeutic possibilities and diagnostic standards in Poland. Detailed knowledge of these subjects would allow the client to more effectively adjust their marketing efforts to the needs of the Polish market. The client’s premise was to conduct the study during a few day conference for specialist, which constituted a major challenge in terms of logistics and recruitment. In order to conduct the interviews in a space where doctors would feel comfortable in, we decided to set up a focus studio, adapting a space which was not originally intended for such purposes. This allowed our client to observe the interviews and to ask additional questions. The recruitment process ran smoothly thanks to our research team’s extensive experience in recruiting doctors and experts. We were able to conduct 20 in-depth interviews in a relatively short period of time. The group of respondents included some of Poland’s leading experts in this field of therapy. This selection of respondents allowed us to get a complete picture of the current state of knowledge on rare diseases and methods of their diagnosing and treatment in Poland. The final report included detailed information on diagnostic and therapeutic standards which prevail in Polish medical facilities, and the changes that have occurred in recent years. Additionally, we indicated areas in which the expert’s level of knowledge is incomplete, and where our client should direct their marketing efforts in order to improve this knowledge. 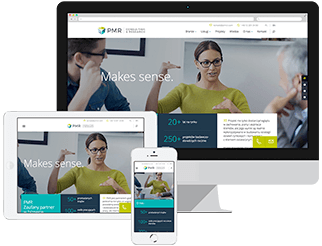 Thanks to this information the client was able to optimize their marketing efforts to meet the needs and expectations of Polish doctors, and adjust the company’s entry strategy to the conditions of the Polish market.